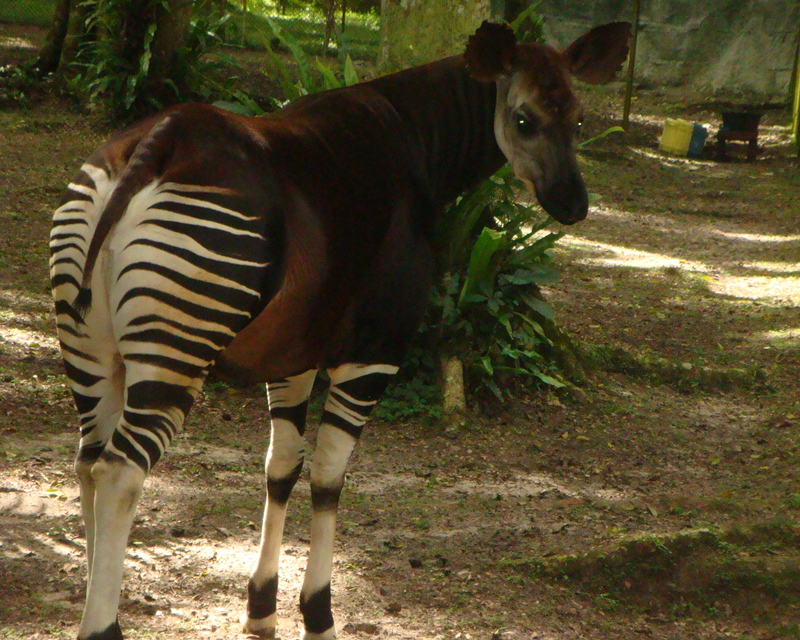 I had never heard of an Okapi until I moved to Congo. Now I think it’s safe to say they are my favorite animal! I finally got to see them in October 2009 at the Epulu Conservation and Research Center at the Parc National de la Ocapi. They are totally wacky looking and although they are much bigger and stronger than I expected, they are the shrinking violets of the Ituri Forest. They literally sprint away from you and hide behind a tree if you get within 100 feet of them. Exhibit A! But luckily for the sake of photographic evidence, the rangers told us about Tatu, who was “The Cool One.” So we ventured on over to where she lived. Okapis are purple-ish and the size of big horses. They have long necks and blue tongues (they’re part of the giraffe family.) As if all of that wasn’t enough- they have zebra-like stripes on their hind parts!! Check it out! 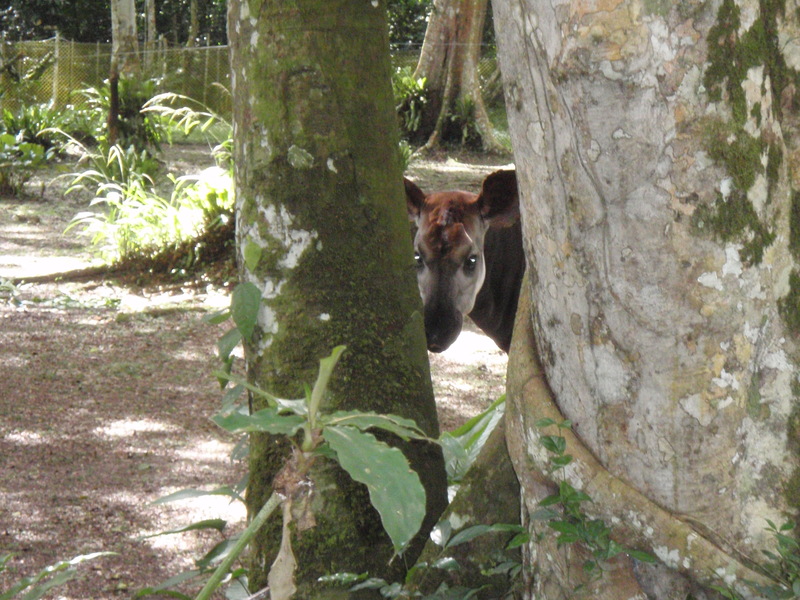 I first learned about the Okapi Reserve in the Bradt Travel Guide to Congo. It is the most up to date (and quite possibly the only existing) guide to traveling around DRC. I highly recommend it- it’s a great resource about Congo. My only beef with it is that it didn’t emphasize enough that the “Day Trip” from Kisangani to see the Okapis is literally a full day drive- and I had to learn the hard way that it is NOT a “Round Trip Day Trip.” Good gracious. Getting there: First we had to take a CAA flight from Kinshasa to Kisangani. CAA is far from being a world renown airline and in fact I think is “officially banned,” by the international community… whatever that means. Like Mohamed would always say- it’s all in God’s hands. Once in Kisangani, we had to “rent” a car with four wheel drive. By rent I mean Mo and his brother Bilal called every car owner known by the Lebanese community at large and asked if we could borrow their car and driver for the day. Done and done. We bought a few jugs of gas, cookies and water and were on our way out of town. We left at 6am thinking that we’d be home by 6pm when it gets dark. Bilal had just told us the story of some Norwegian researchers who recently got hijacked, robbed and then arrested for attempting to shoot the cop who robbed them so we were especially uninterested in driving at night. Little did we know it would take us eight hours to get there. The distance between Kisangani and Epulu is around 500 kilometers. (At least the dirt road had “just been redone.”) Additionally there are several stops along the way where you have to get out of your car to go sign various logbooks and show lots of documents. Of course we didn’t bring our passports because we weren’t planning on leaving the country… so I’m sure Mo payed some very official “fees” for our silly mistake. All of the village immigration officials we encountered found it down right hilarious that a Lebanese and an American were traveling together. “Aren’t you people supposed to hate each other?” they would ask, perplexed. That is one thing I love about DRC- everybody knows their politics. Can you imagine someone in Small Town, USA knowing about the beef between two different countries in Africa? Me neither. So we finally arrive at the reserve around mid-afternoon. Sometimes when I tell this story I say that we “only stayed for an hour or two,” but in reality this is a gross exaggeration. I’m pretty sure we were only there for thirty minutes. Snapped a few pictures, looked at the river, refilled the gas and off we went on our merry way back. Except we were not very merry at all because it was 3:00 and we had another eight hour journey ahead of us and it gets dark at 6:00 and we REALLY didn’t want to drive at night. So we ate a few cookies, felt starving, cranky, and nervous, and finally made it back to Bilal’s house by midnight. And that concludes my ridiculous adventure to see the Okapis. Not some of the finest travel planning on earth, but nobody in Congo really “plans” stuff anyway. I feel lucky that I had the opportunity to take a sweet road trip through such a beautiful part of DRC and got to see my favorite animal in the flesh- even if they were mostly hidden behind trees! To learn more about this forest and what the people there have been through, check out this Ted Talk by Corneille Ewango, “A hero of the Congo forest.” It’s a pretty amazing story. Additionally, I appreciate his comments at the end about education breaking the cycle of poverty in Congo. Just another reason why teaching is the coolest and most powerful profession on earth. Thanks Bilal! And thanks again for letting us stay at your house!! Check us out at Road Rage with A & A for a little internet traffic road rage! Wow. That’s exciting. What ever made you decide to go see the Congo? It sounds like an adventure. 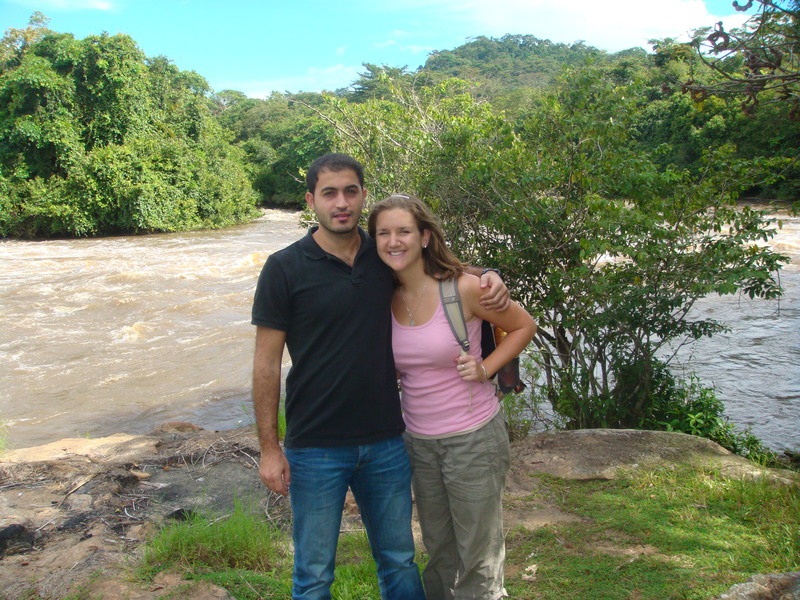 I moved there in 2007 to work at The American School of Kinshasa! Also, I just always wanted to see the world- Africa in particular. I ended up working there for three years as a teacher and then the Middle School Coordinator. Next year I’ll be in Eastern Congo- in Goma, working with local schools there. There’s more about my outreach work on my other website. Such beautiful animals…and so cute, hiding but still curious. You are very lucky to be able to see them in the wild…. Awesome is the word for your adventure…and such “strange” looking animal is not so strange really…you said they belong to the giraffe family. They look more like a donkey with stripes…again…awesome!!! Wow, the okapi are beautiful! Purplish with a blue tongue with zebra stripes, I want one in my neighborhood!! How interesting. I can’t imagine seeing things like that live.I live in AZ and we have coyotes and reptiles, but not quite the same. Congrats on being Freshly Pressed. …awesome article and great pics. I have to admit, I’ve never seen an Okapi before…now I know. 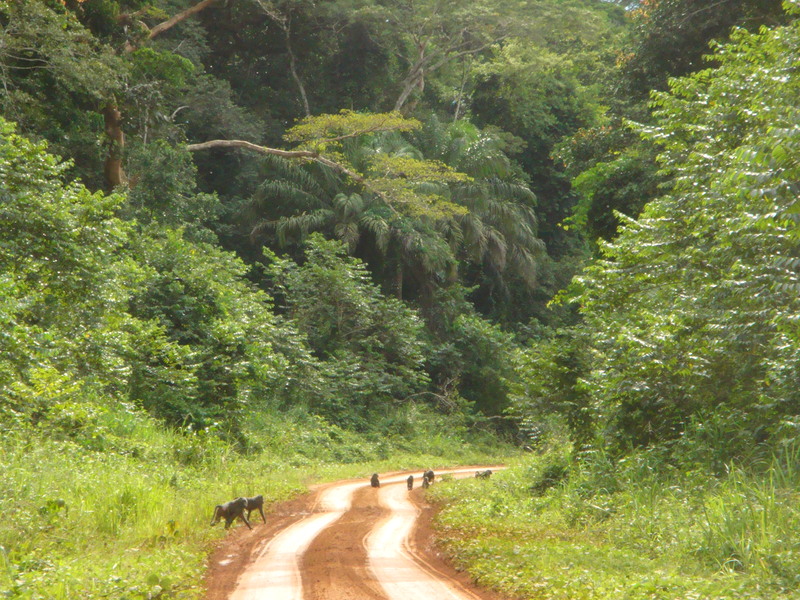 I can also add beautiful Congo to my growing list of places I must see! What a fantastic adventure and those okapis look so beautiful even with their stripes which make them look a little like a zebra. They appear to be quite happy in their habitat. The photo’s of them are so good I felt I could almost touch them. Always wanted to travel to far away countries visiting National parks and Rain forests. Oh well maybe one day. Great Post! Consider yourself lucky for having the privilege of seeing and being with these kinds of animals. Wow, that is awesome, and I love the pictures! It looks like a Tarpan that you took a picture of, though, I thought they don’t have zebra stripes on their hindquarters and legs. They don’t seem to be too scared of you for you to get such a great shot too. Have fun! 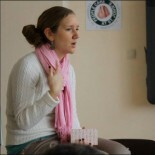 Sara Rich, wonderful, exciting and learning. 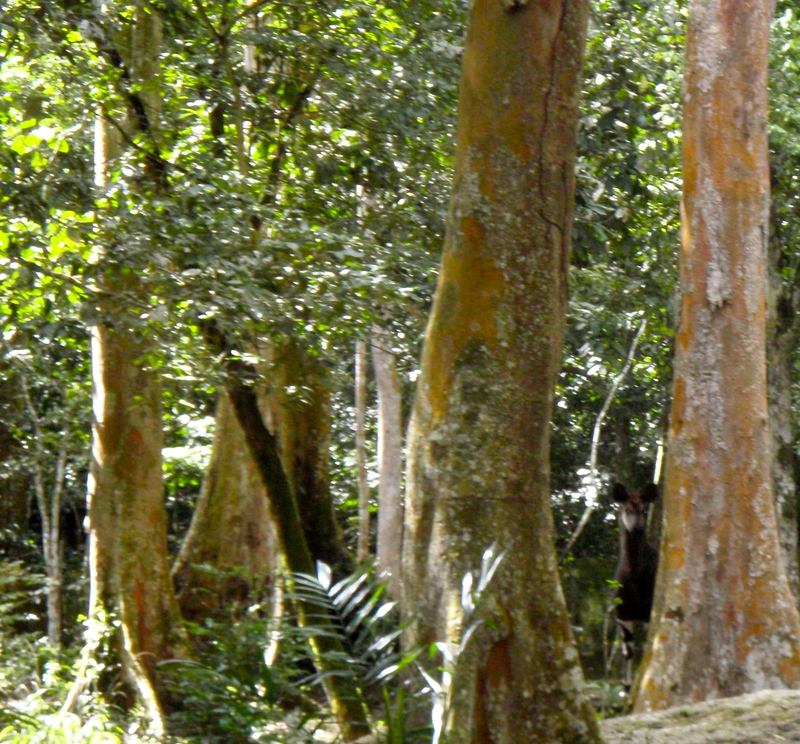 This entry was posted on July 20, 2010 by Sara Rich Merlo in travel and tagged DRC, epulu, kisangani, okapi reserve, okapis, parc national de la ocapi, RDC.